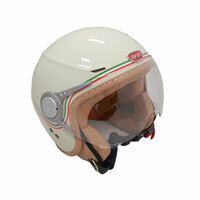 The jet helmets are 'open' with no chin or no chin protection ECE 22-05 J. They can be realized in composite fibre thermoplastic material and are especially appreciated by urban bikers or those who still takes short trips. 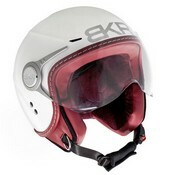 They offer superior ventilation and are more practical for storage compartments of the bike. 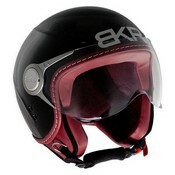 The jet style are available with visors of various shapes and length. With some models the chin guard can be removed.